Chelsea Panzarella, a beautiful soul born and raised in Rhode Island, USA. 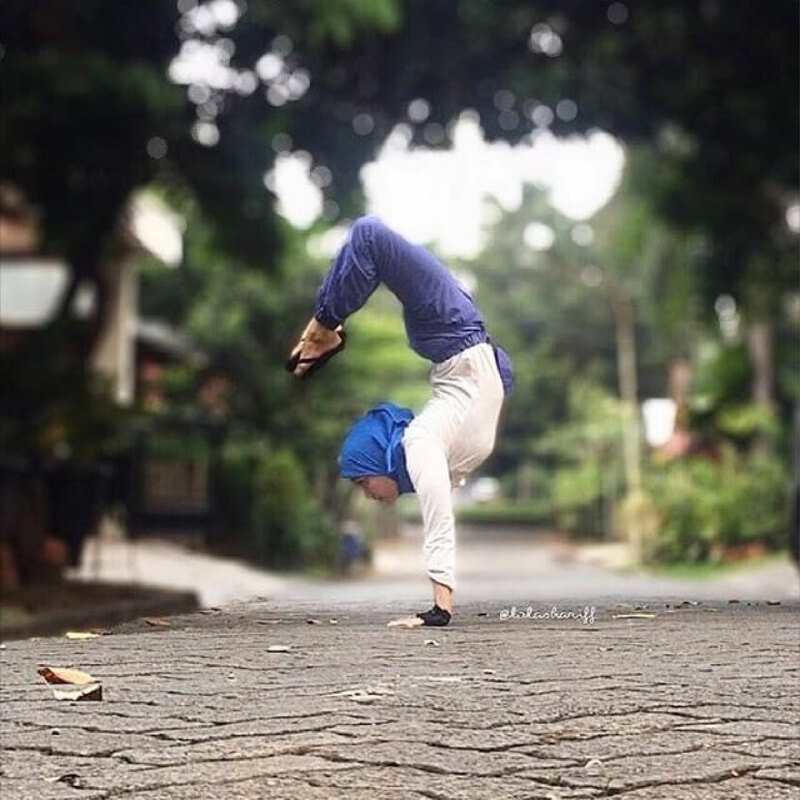 Raised with no religion but considered herself a non-practicing Christian. 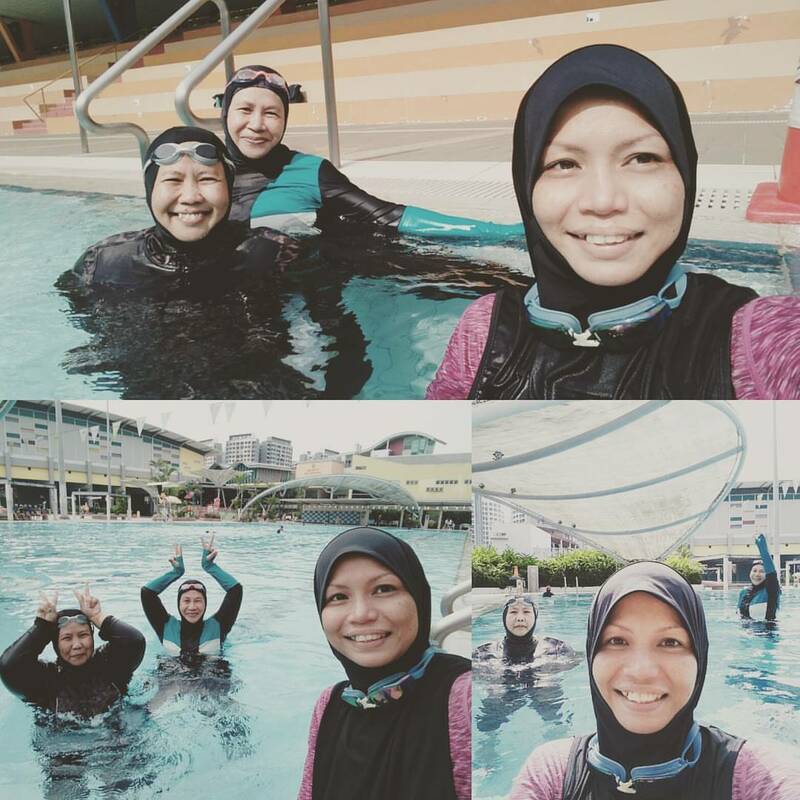 Alhamdulillah, she converted to Islam about 6-7 months ago. She is a fitness trainer. 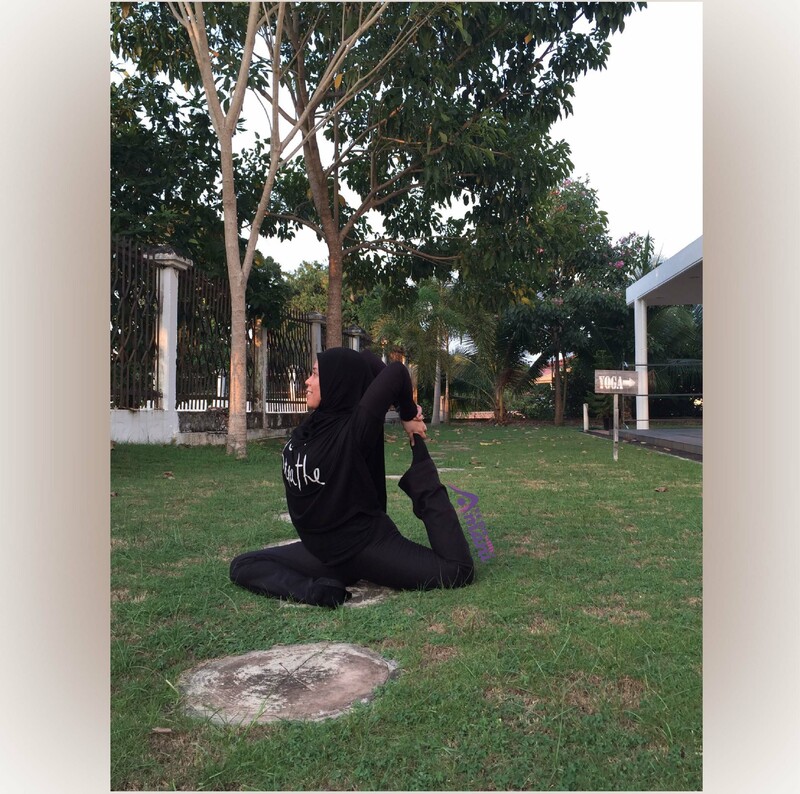 We are honored to be given the opportunity to interview Chealsea where she shares her active lifestyle with us. 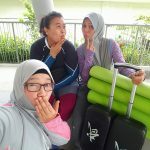 What do you do before becoming fitness trainer? After graduating college, I took some time off before finding a job. I participated in a fitness competition and fell in love with the lifestyle clean eating and heavy weight lifting. I decided that I wanted to become a Personal Trainer to help inspire other to love fitness as much as I did. 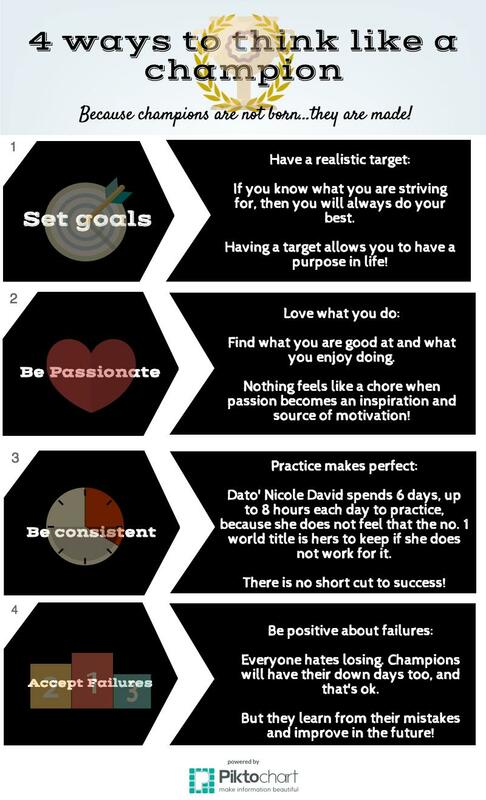 What motivates you to be a trainer? My own experience and love of health and fitness motivates me to be a trainer. I learned a lot about lifting weights and building muscle in order to lose and/or maintain weight. I’ve found that many women are scared of weights and have misconceptions of becoming too bulky. I want to educate them on the importance of both cardio and weight lifting. 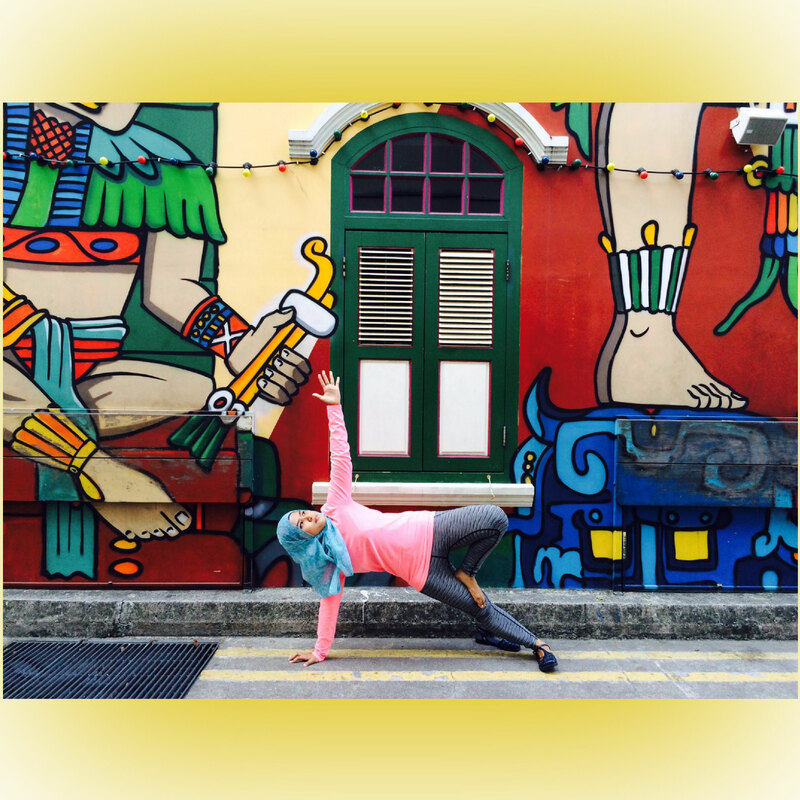 I want to inspire women to take control of their health in the right way! What does the training involve? biking? gym? 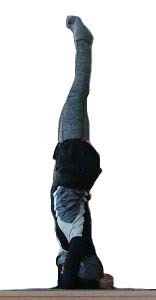 Yoga? My training programs consist of nutrition plans and workout plans. Nutrition is based on whole, fresh foods and proper macronutrient balance (calories, lean protein, healthy fats, complex carbs). 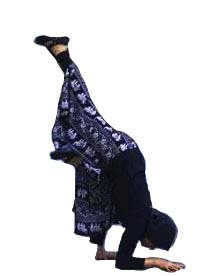 Exercise is based upon their fitness level, experience, and whether they workout at home or at a gym. It is typically a mix of weight training and cardio. I like to work with them to help them find exercises that they love because I want it to be enjoyable. My programs run 12 or 16 weeks in length, the reason being that I want it to become a lifestyle for them rather than a short term diet and workout program. I consistently communicate with clients and do weigh in’s every other week. Nutrition and workout plans change every 4 weeks based upon their progress. 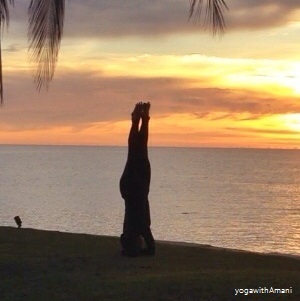 I also set up 1 month challenges in order to help people jumpstart their goals. Is it hard to get the Muslims to join your program? My businee is relatively new so I can’t really say for sure as I am still working on building that initial client base. 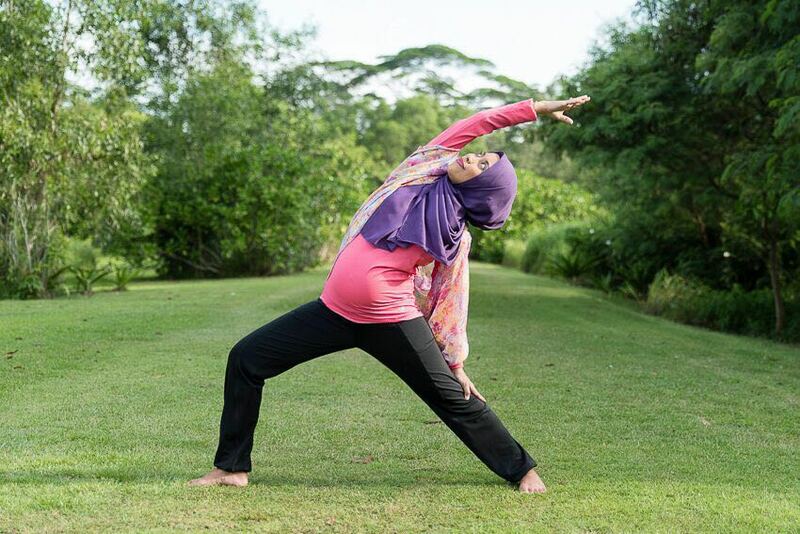 I feel like many of the Muslim women really want to become healthier but they are confused about what health really means, or they don’t know where to start. I have a lot of people who ask for advice or about my programs but they have a hard time making that initial step and actually going for it. What is your opinion working out indoors and outdoors? Which do u prefer? For me personally I mostly workout indoors. 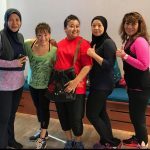 I do a lot of heavy weight lifting as well as fitness classes like zumba, spin, and kickboxing so the gym is really where I get most of my exercise done. I also like the treadmill and elliptical because it allows be to do sprints without being able to slow down my pace. I do like to get outside once a week (when the weather permits) either for a distance run or a track workout. 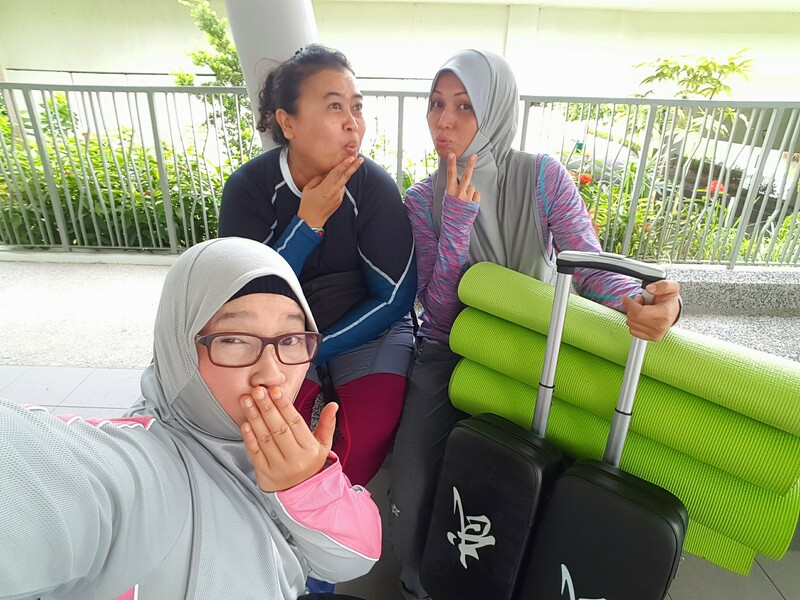 What is the obstacle of being a muslim trainer for you? The hardest part is not being able to show my progress. I think one of the biggest things people want to see in a trainer is that they are fit. I’ve had to find some new and creative way to post about my progress and knowledge. I have recently started posting some at home workouts which I think people are really enjoying! As of right now I’m lifting 4 days a week. I alternate between chest/triceps, back/biceps, legs, shoulders/abs. Then I do 6 days a week of cardio. On weight days I do weights first then usually go to a workout class. On just cardio days I’ll usually do a HIIT (as shared below) workout. Are there any changes on your workout routine and diet after the conversion? A little bit but not too much. I’ve never been a fan of pork so Alhamdulillah that wasn’t hard for me to cut out! I’ve had to find some alternative ways to do some of the exercises I was used to because the new women’s gym, although it’s amazing, it doesn’t have all of the machines that a mixed gym would have. I’m still working on learning more about halal and sunnah foods, I have started eating a lot more honey and dates! I have also decided, starting this week actually, that I will begin to fast once per week. I need to prepare for my first ever Ramadan! I’ve also read that fasting has great health benefits so I’m super excited to implement this into my nutritional regimen. Do you take extra supplement for your health? I do take supplements but I like to keep them minimal and basic because nutrition is the most important part and supplements are only enhancers. I do, however, take multivitamins, fish oil, whey protein, and meal replacement shakes through Herbalife. Do you find the conversion helps you in terms of fitness? ABSOLUTELY! In so many ways I don’t know if I can write them all. Until I began covering up I never realized how much I was actually doing it for looks. 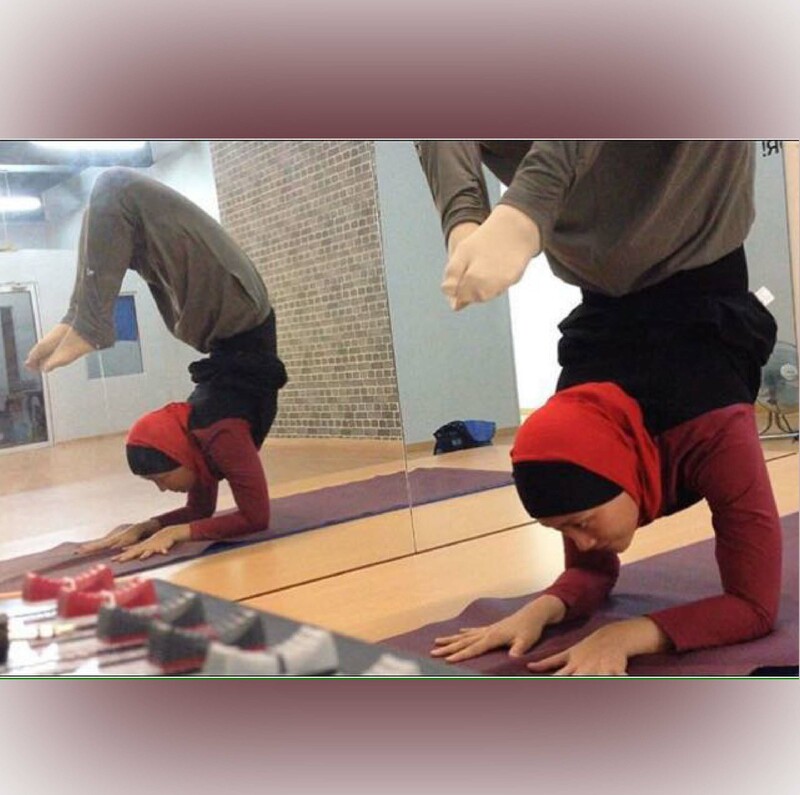 Since wearing hijab, fitness is so much more to me. 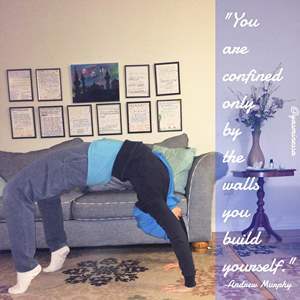 It is about feeling energized and accomplished, it is about inspiring others rather than just showing off, it’s about connecting with Muslimah’s around the world through health, it is about one day having kids and being able to keep up with them, and most importantly it’s about keeping this body that Allah has blessed me with healthy for as long as I can! She delivers her training to clients online, so you can be anywhere, as long as you have internet access you are able to get Chelsea to guide you. 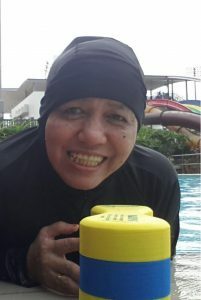 This wonderful woman also shared a quick tip for workout. Simple, yet impactful. HIIT (high intensity interval training) is a higher degree of interval training where one would perform short bursts of very high intensity exercises followed by a somewhat larger, smaller or equal period of active rest. HIIT training helps to improve cardiovascular health, metabolism, and intensifies the fat burning process. 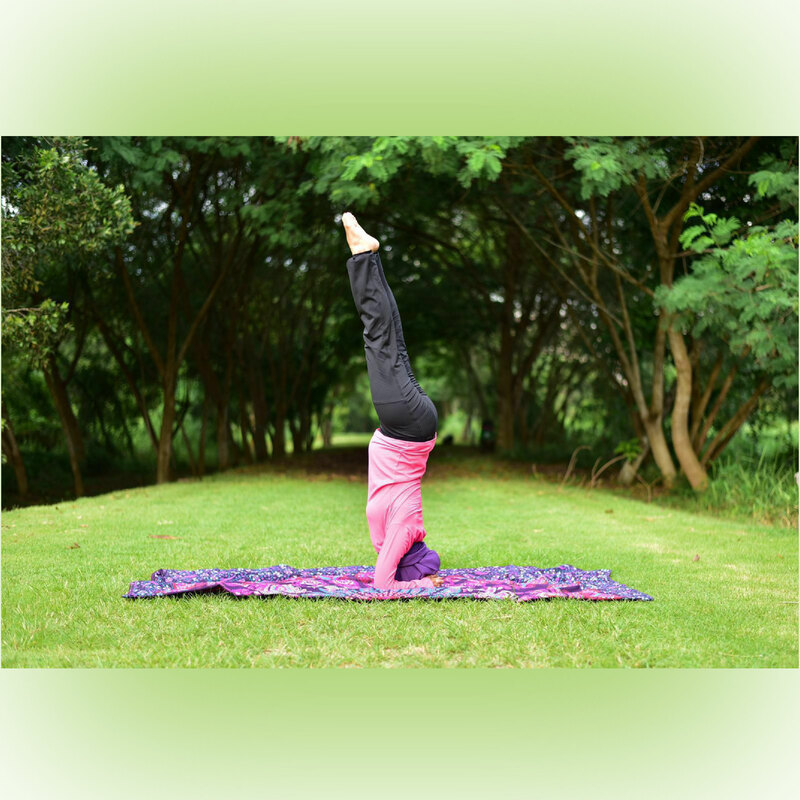 This is a bodyweight workout that can be done outside, in the home, or in a gym. You will perform 3 sets of the exercises grouped together. For example, you will complete each exercise in the first box once (25 bodyweight squats, 25 jump squats, pushups to failure, and 25 crunches, without rest in between…that equals one set. Go back to the top of the box and repeat 2 more times. Once you are done with the 3 sets you will execute 15 burpees. 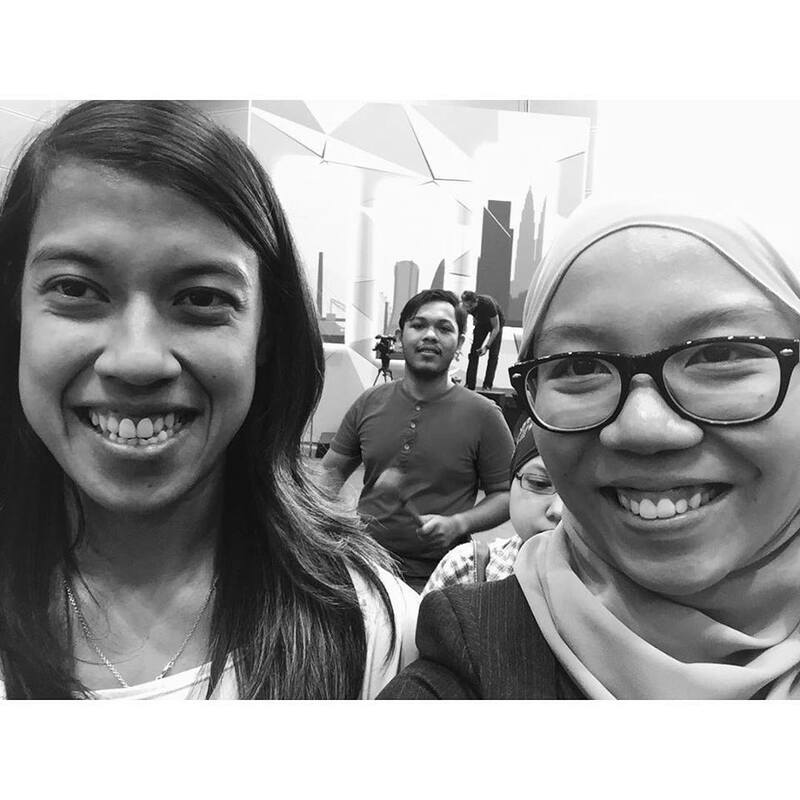 InsyaAllah, we will be getting more tips from her in the future. 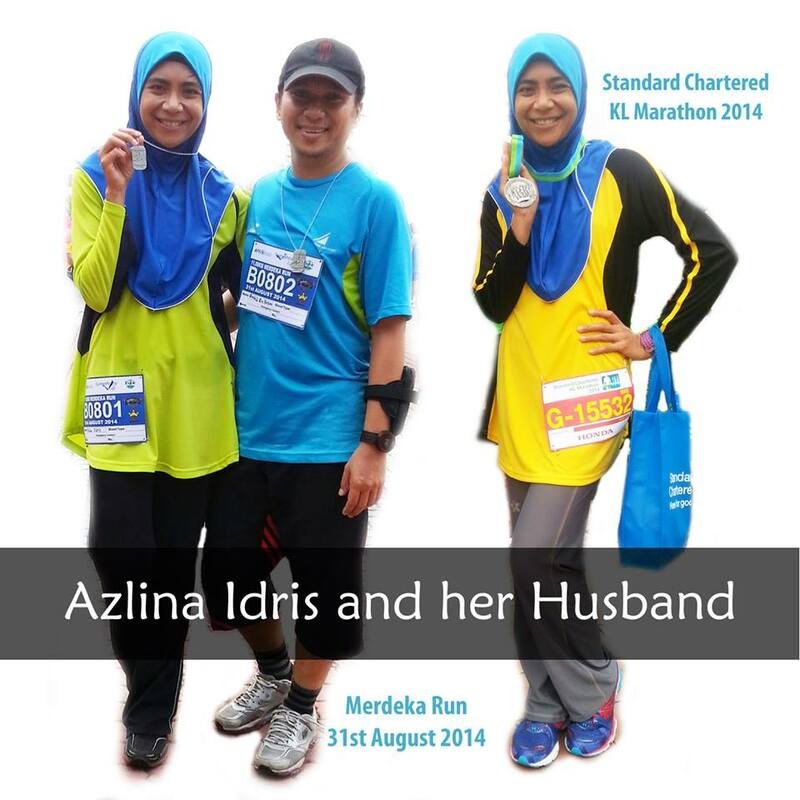 Azlina Idris completed her first half marathon at the Standard Charted Marathon 2014 recently. It was a double accomplishment as she ran with her husband who started running after her. 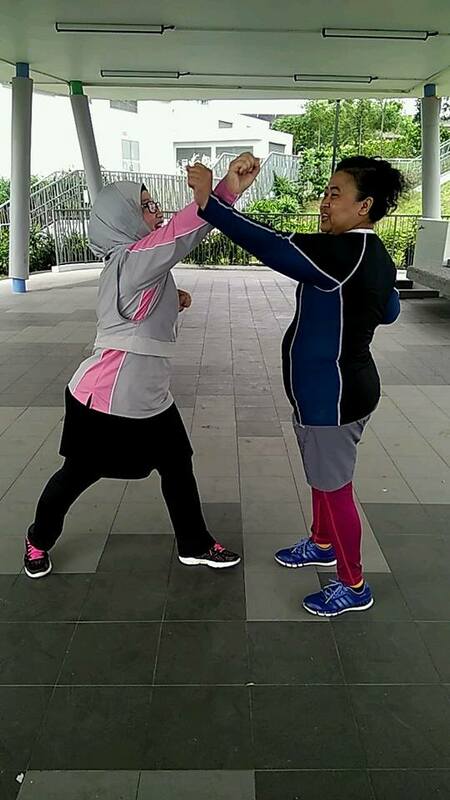 Furthermore, she started running less than a year ago, so a big hand of applause to Azlina & hubby. 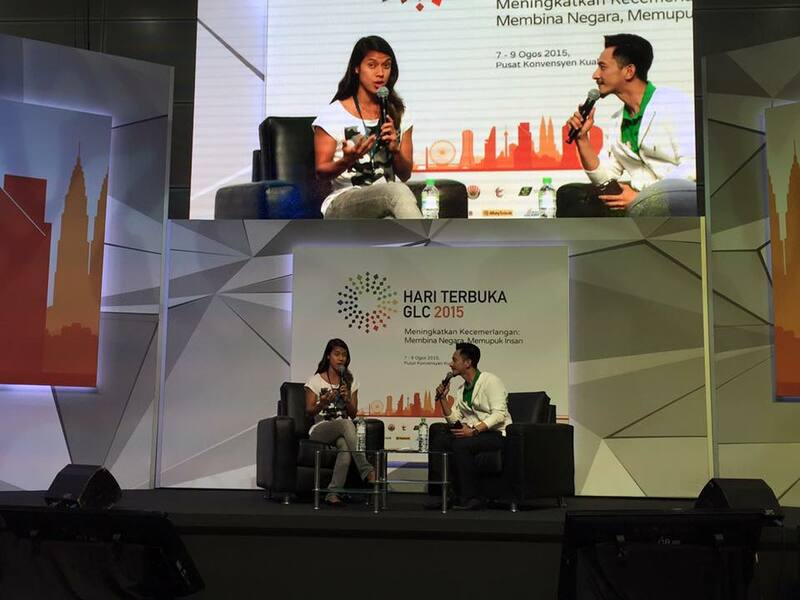 Azlina is an MBA holder and a mother of three growing up kids. 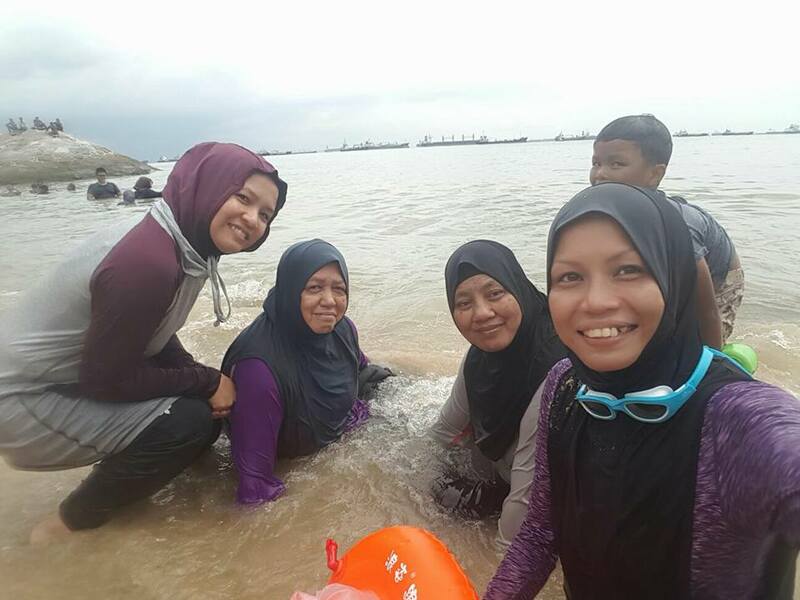 After spending more than 13 years working at Telekom Malaysia, she decided to spend more time with her children and take better care of herself. Let’s Be Inspired by her story. 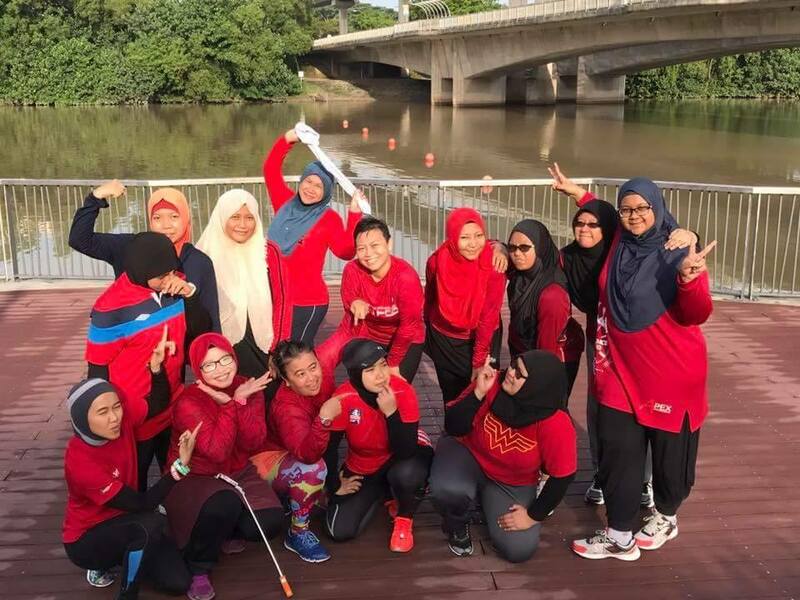 We have been following Azlina and admire her perseverance and training regime and today she shares with us more about her joy of running since 2013. 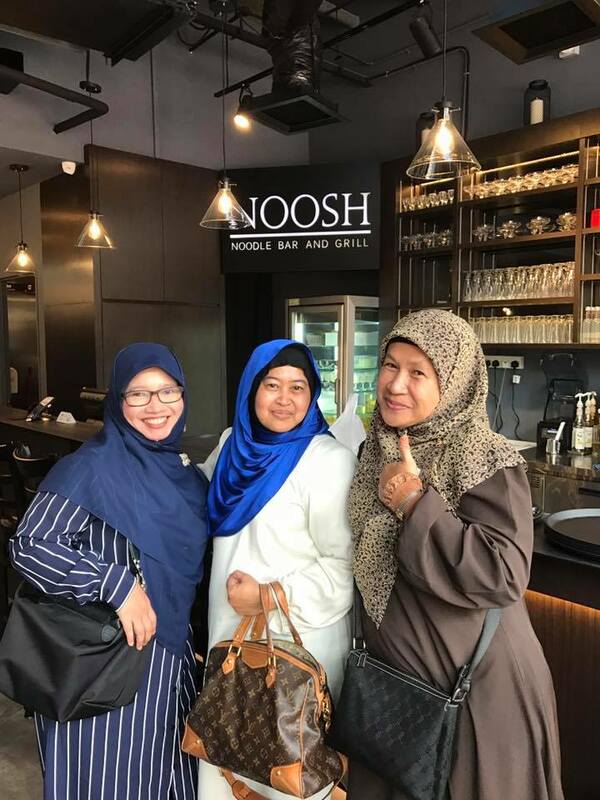 A few months after she left Telekom Malaysia, she started a new schedule – which is running after sending off her kids to school. 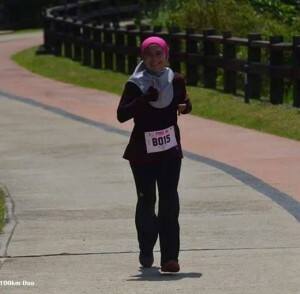 Her house in Bangi is close to a running track so she gets to run at least 3-4 times a week. 1. What is her training plan? She does not attend any formal training as most of the training programs are conducted far from where she lives. Therefore, she trains alone or with husband. 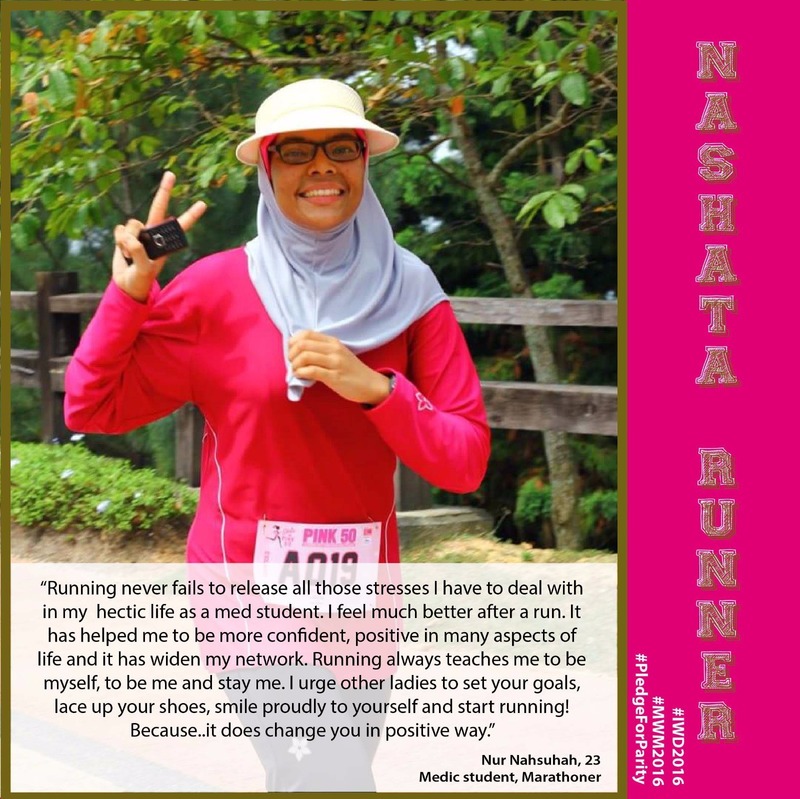 She reads a lot of articles about running and how to improve and she also get tips from her friends and met them via social media. She also does cardio and weight lifting on off-running days. For the half marathon, she uses a 12-week training program from Runningworld.com. She keeps a training dairy to keep track of her schedule and weekly improvements. Apart from training, she make sure she eats good food; less frying food and more baking or grilling with little or no oil. 2. What makes her run enjoyable? Most of the time she runs alone, and sometimes with her husband. A fit wife makes a fit husband. 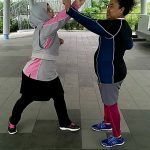 That is the case for Azlina as her husband started running a few months after her, and he lost almost 18 kg in 10 months! Her husband has been her biggest supporter and his participation in all races has brought joy in her interest. Every weekend, they try out new routes and push each other to go further and faster. 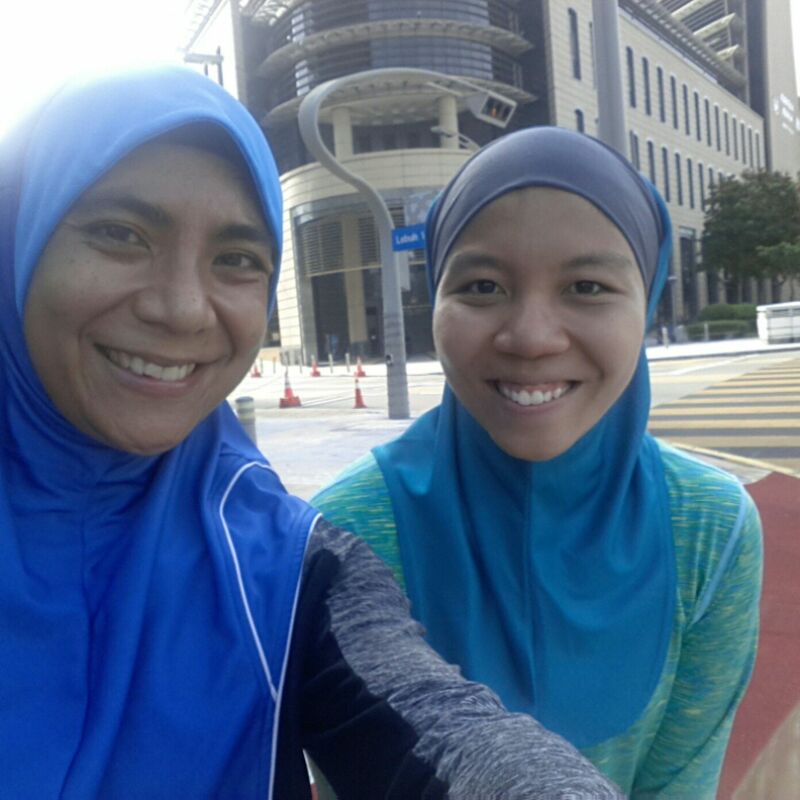 To her, the time spent on running brought them closer and healthier together. Azlina’s children have accepted that their parents are now avid runners. Some weekend mornings, they go to the lake where both her and her husband run while the kids play at the playground. Like her husband, her children are very supportive of her interest in running. Her children always look forward to the goody bags Azlina and her husband bring back from running events. In September 2014, her children participated in the Kids Giant Run. It was fun but they complained about being tired. Perhaps there need to be more kids fun factors injected into Kids running events. 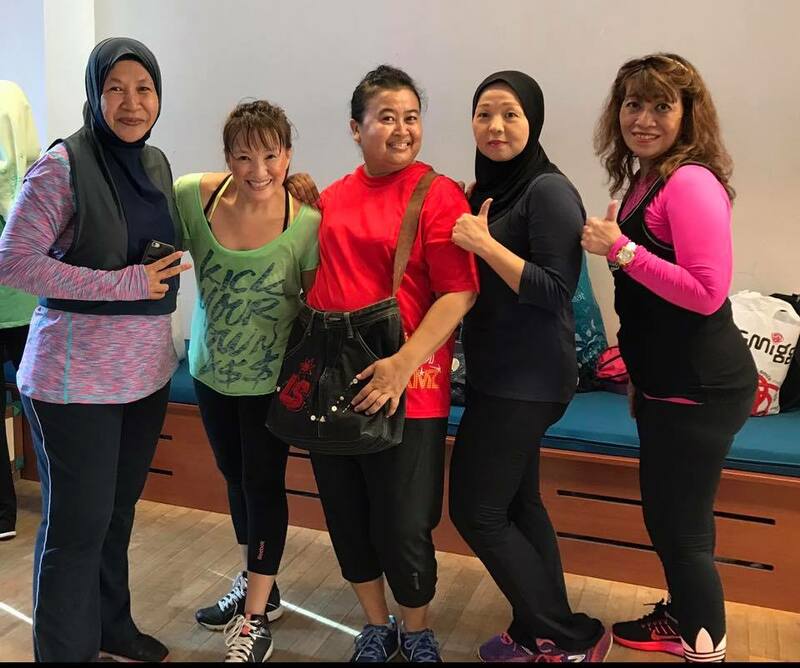 Azlina’s children will definitely benefit from having fit parents as studies show that children who grow up in families where both parents are physically active are nearly three times more likely to be active than kids whose parents are not active. 4. What is her biggest challenge in running? Occasionally, she finds it hard to get out and lace up when she runs alone. She overcomes it by reminding herself how much better she feels after a good run first thing in the morning. 5. How does she decides which running event to participate in? To her as a medal collector, a finisher medal is a MUST. She also looks at the fees and the venue. Different routes and venues excite her as she does not want to go through the same route many times. 6. 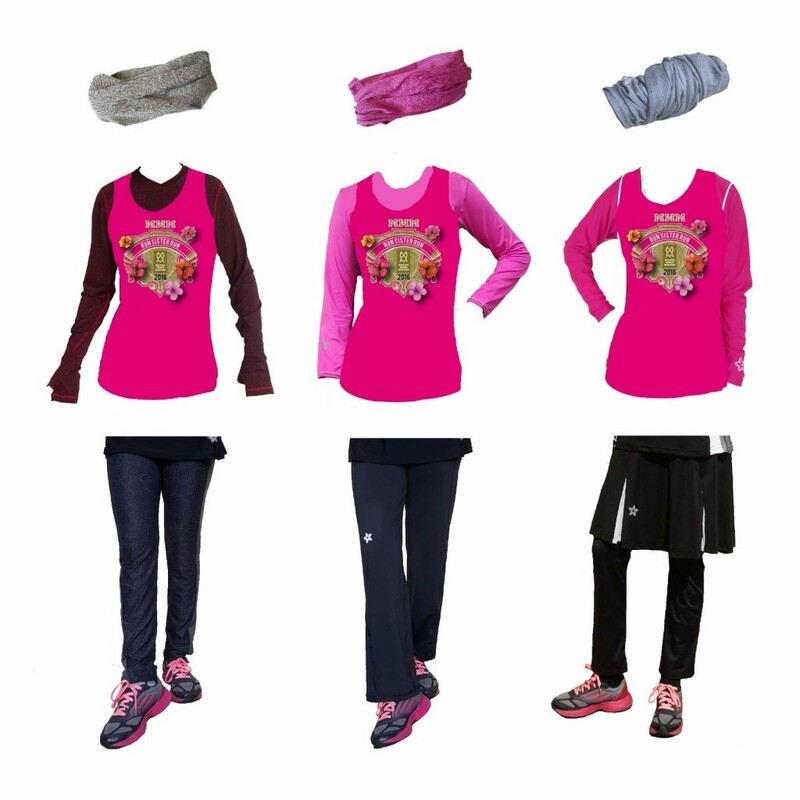 What does she wear when she runs and why? Azlina wears Nashata products when she trains and participates in running events. She is a lover of Nashata’s Tops and here is why. The price is very reasonable for the quality of the products. I already have 4 Nashata Tops and a pair of Riada Pants. I would most probably buy more in the future.”, say Azlina.